2015 SHOUT OUT! for education?! 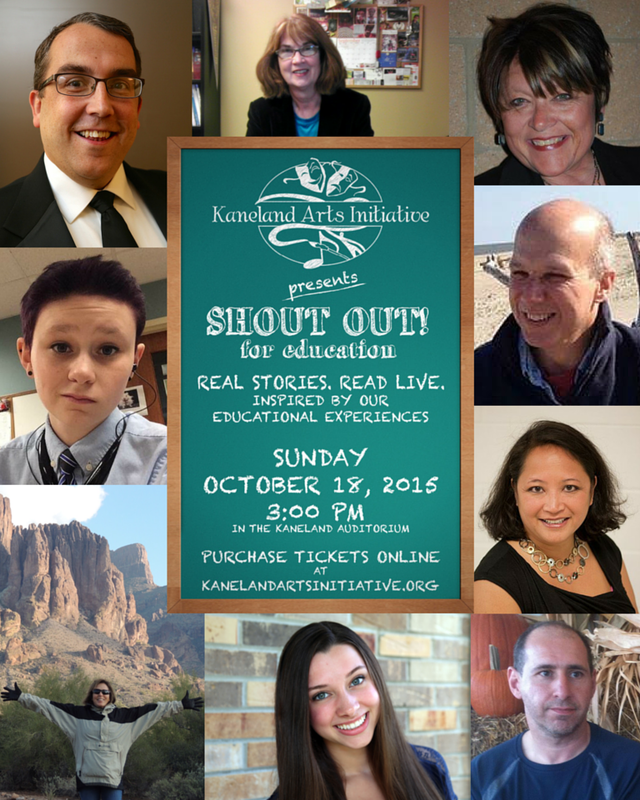 You are invited to join the class of KAI’s 2015 SHOUT OUT! for education as class is in session on Sunday, October 18, 2015 at 3:00pm. Class will meet in the Kaneland Auditorium on the campus of Kaneland HIgh School. Teacher extraordinaire Diane McFarlin will be at the head of the class, hosting the session. Pupils will be reading their own homework aloud, weaving personal stories and experiences to celebrate education, teaching, and learning. After class, meet with the classmates at a reception in the auditorium lobby. Tickets are available now. In the next few blog posts, you will have an opportunity to meet each of the cast members and learning a little bit about each one and why they have chosen to be a part of this calssroom. We look foward to holding class with you on Sunday!